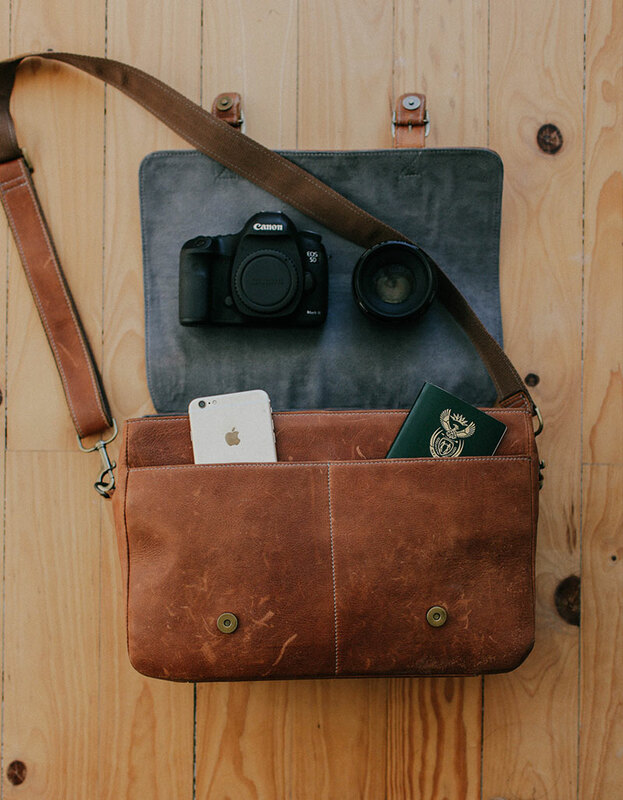 THE TRAVELER was designed for the professional photographer that loves travel, adventure and business. It’s a durable, well secured and the perfect bag to protect your equipment. Spaciously designed adjustable compartments made with soft swade are gentle on your equipment preventing any scratches. The entire inside is adjustable depending on equipment and removable making the bag dual functional for all occasions. Easy open &amp; closable magnetic clips make it extremely easy to change lenses while the bag is on you. 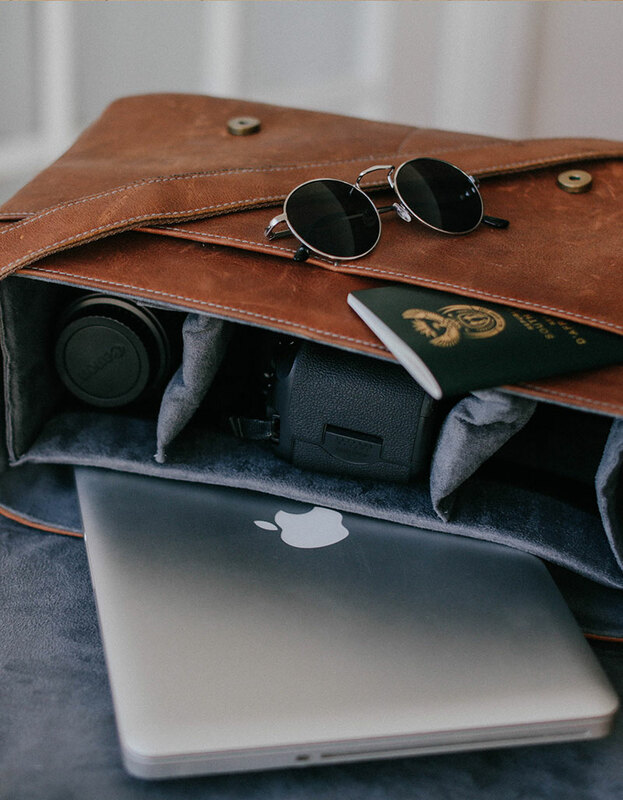 Having the bag being spacious it can hold 1 camera body with a fixed lens, 2 other lenses, 1 laptop or 1ipad a cellphone and note pad. It contains cardholders and zipped bag for extras. 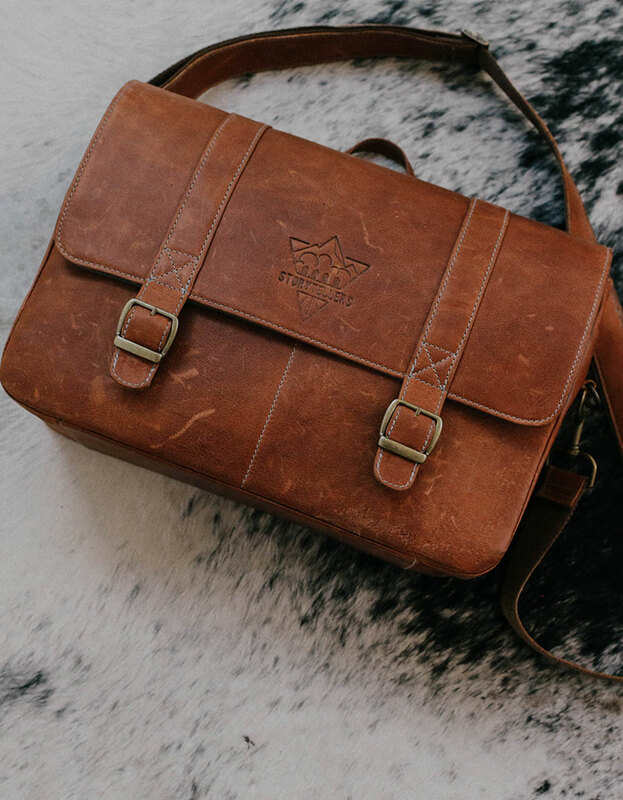 The sling strap is easy adjustable making it the ultimate photography bag for all. 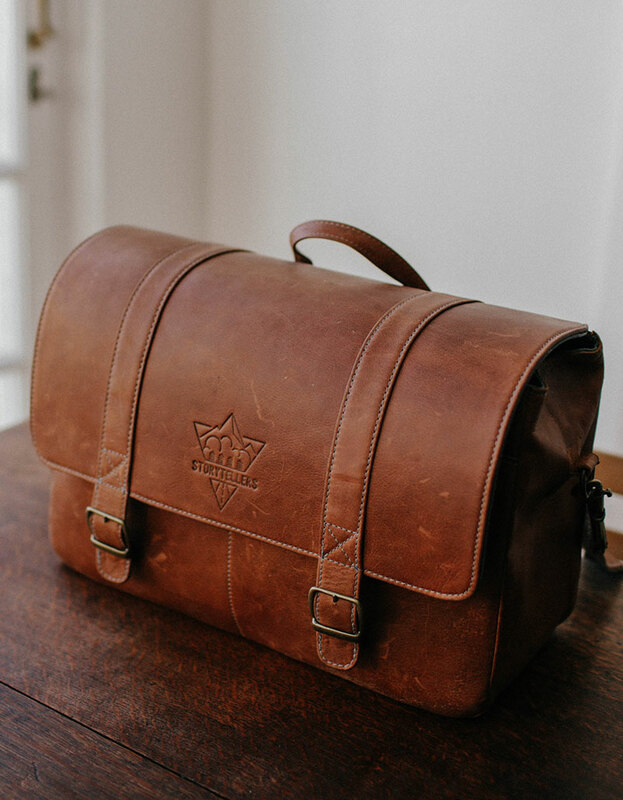 Our leather is locally sourced and is a natural product therefore each product is unique and has a variation of colour and texture. The colour will also change with time the older it gets and exposure to elements.